Sled on the snow, we laughed all the way, the ringing bells resounded in all directions, the song of the sled sang tonight.... With the familiar cheerful melody and the festive atmosphere, the annual Christmas is coming again. For foreign traders, the arrival of Christmas means that you can stop for a short time, sorting out the harvest and happiness of the year, and it means that the happy Santa will send us gifts. Pangs Chemicals Ningbo, Chongqing and Chengdu have carefully arranged the company. 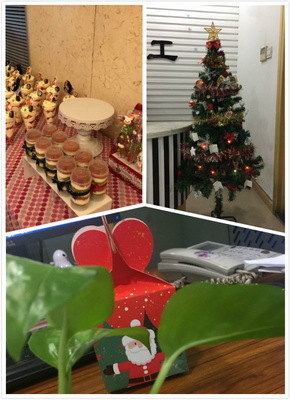 The company is full of Christmas atmosphere and festive atmosphere. 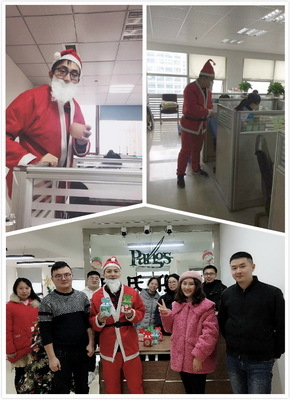 On December 24th, Santa Claus finally came to the colleagues to distribute gifts. A laughter, Santa Claus also hangs a card full of New Year’s wishes on the Christmas tree, the new year is about to begin, and I sincerely hope that everyone’s wishes can be realized.